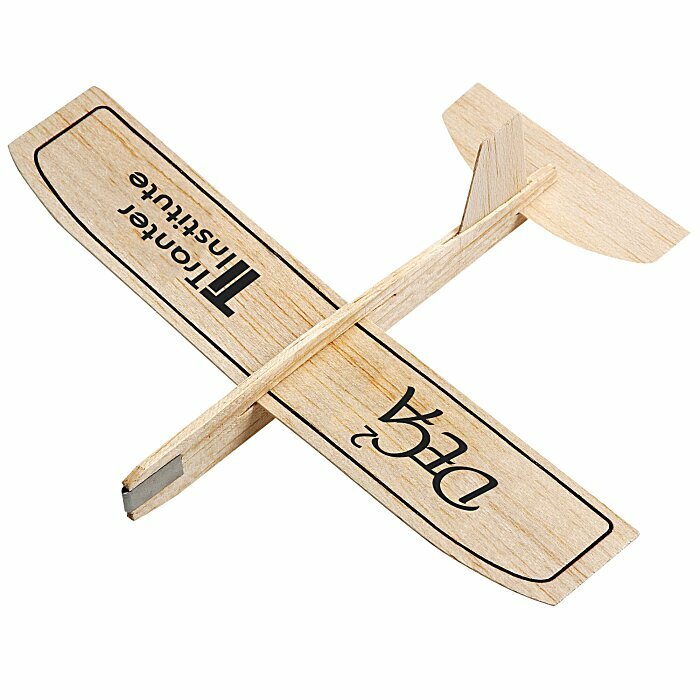 Send your sales soaring on promotional balsa planes! Use as giveaways at sales meetings, aviation clubs or tradeshows to give your message wings. Natural balsa wood airplane flies through the air with the greatest of ease. Gently throw the glider and watch the 8" wingspan soar. Easy to assemble for hours of fun! Your price includes a black imprint on the wing on the plane.